Make Mowgli and His Jungle Family A Part of Yours. Now on Blu-ray™, DVD and Digital. Both of my kids grew up watching The Jungle Book and singing along to favorites like “The Bare Necessities” and ” I Wanna Be Like You”. It was one of those feel good family favorites that no matter what kind of mood we were in when The Jungle Book came on you couldn't help but sing a long and "forget your worries" as Baloo would say. Ours was a VHS version so when I was offered a chance to review a DVD and introduce the movie magic to the little ones I jumped at the chance. 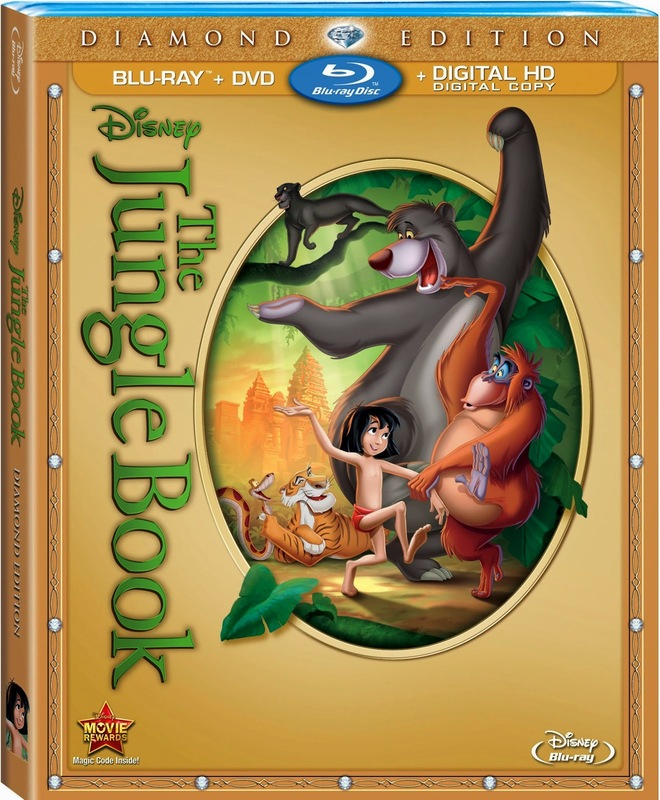 The Jungle Book: Diamond Edition on Blu-ray and DVD & Digital Version arrived on a Friday during a snowstorm. Both Peter and I couldn't wait for the little ones to come over so we decided to see if it still held the same spell on us after all these years. We watched the DVD version and sang along just as we had years ago. We even watched the bonus features which were fantastic. I learned fun facts from behind the scenes and interesting details about characters who never made it to the final film. The Disneyopedia bonus feature showed footage of real animals portrayed in the movie in their natural settings and showed how Imagineers crafted the characters. The Blu-Ray version has over 2 hours of bonus features! What's your favorite song from The Jungle Book?